The most famous integrated amplifier of all time? 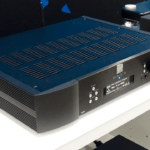 A case could be made for the NAD 3020, an amplifier recently re-imagined by the now Canadian-owned company as the D(igital) 3020 (covered here, here, here, here and here). Aesthetically, the D 3020 bears zero resemblance to the original. So too does the amplification technology featured therein. However, both units share a common functional theme: integration of pre- and power amplifier staging with extras rolled in. The original featured an MM phono stage and headphone amplifier whilst the new fella traded in turntablism for D/A conversion. In other words, NAD know integrated amplifiers. Which is possibly why NAD’s introduction of a new Master Series some two years ago had some folk scratching their heads at the absence of a Master Series integrated. NAD instead pointed users back toward the all-black Direct Digital C390DD (covered here and here). 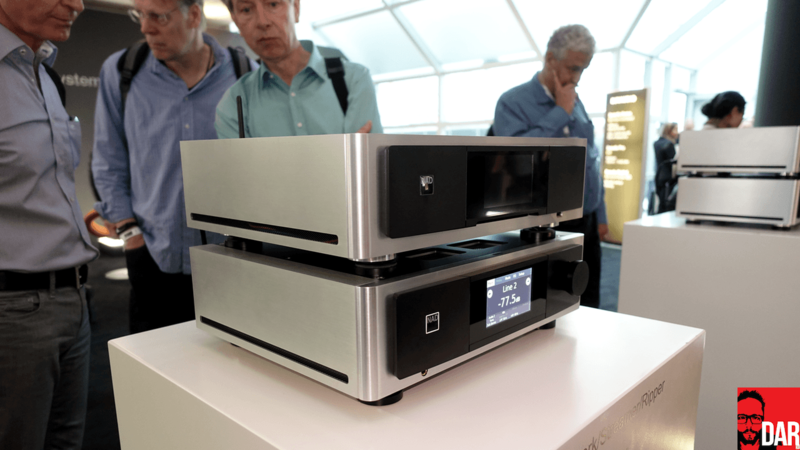 Good news for NAD integrated lovers from Munich High-End this year! 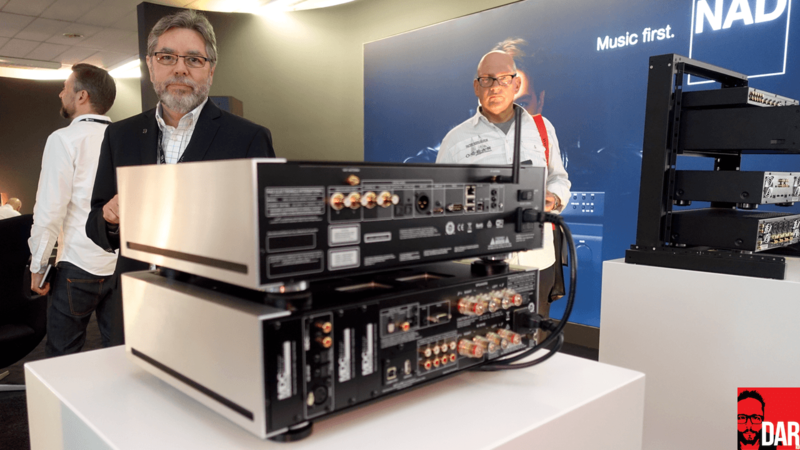 Greg Stidson was on hand to talk us through the company’s new Master Series integrated: the M32 will sell for US$3499, roughly half the price of the M12/M22 pre-power combo, but Hypex fans should note that this is NOT an nCore-based amplifier. Think of the M32 as a DAC that amplifies. Like the C390DD, the M32 is a Direct Digital (PWM) device that serves up 150wpc into 8 or 4 Ohms with “substantial current capabilities”. Digital inputs include AES/EBU, 2 x coaxial, 2 x Toslink and asynchronous USB digital. Back on the menu as standard this time out is a MM phono stage and a pair of line-level inputs. All incoming analogue signals are digitised at point of entry before being sent down the line. Outputs include pre-amplifier and subwoofer and two sets of loudspeaker binding posts which are for the convenience of bi-wiring only (and not dual zone). Configuration and control comes via remote wand or front-panel TFT touch screen (which didn’t feature on the C390DD). Want more connectivity? The M32 retains the C390DD’s MDC modular board extensibility with the BlueOS streaming module available for an additional US$500. The M32’s built-in headphone amplifier (6.4mm) isn’t resistor dropped from the main circuit but a separate amplifier with 1 – 2 Ohm output impedance. Stidson claims it capable of driving very thirsty headphones. This isn’t just an integrated amplifier but (what I call) a super-integrated. Sat on top of the M32 in NAD’s (powered) static display was the second new product launch. The M50.2 is a file server with 4TB of internal storage, a “more sophisticated” BlueOS streamer (than the M32’s MDC card), a CD ripper and – interestingly – a CD transport. BYO DAC though as its outputs are digital only. aptX Bluetooth connectivity is also included. Recalling the Sonos Connect’s functionality, the 50.2’s line-level input can be streamed to other BlueOS devices on the same network. Pricing for the M50.2 clocks in at US$4000. Fascinating to notice that the DDFA technology with the Zetex / CSR chipset still can be regarded as very advanced and ahead of it’s time. It was called class Z when the NAD M2 was introduced, which gave me the impression this is different to a class D amplifier. Looking forward to listen to this product. Nice…Very nice indeed. I have regrets about not being able to afford a Harmon Kardon HK 990 a few years back. As I said earlier, I use my Sony STR-6800 SD as an integrated bypassing use of the AM/FM tuner. The HK 990 would have been an upgrade of sorts. Perhaps one day I’ll find one at a garage/estate sale. Sweet. The M50.2 follows the previous Masters series M50, which was a CD transport and streamer. I don’t like the black fascia in front of the silver body on the new Master series. NAD had one product, the M51 DAC, which was all-silver. It’s gorgeous. An nCore integrated would have been incredible, but I suppose it would have come at a price. Looks great, regardless. NAD are probably my favourite mainstream electronics company. Still use my old DUAL MONO NAD S-300 integrated amplifier > powerful ,timeless design ,build in Denmark to a very high standard and matches well with my Dynaudio speaker DM 3/7 which can play loud and I mean really loud and the NAD can easily handle that kind of load .It’s one of this rear bread integrated amplifiers which has tremendous power and which can play on low levels and still can deliver all the detail of music .I had many amplifiers over the last 45 years but this one I keep as long it last and I hope for ever .I know in Germany some audiophile looking for them and if necessary restore/repair them as they have a great reputation .Beside that I have a NAD HP VISO 50 a great sounding HP. NAD IS a great Audio company that delivers reasonable gear ,quality and great sound . I cannot agree with you more. NAD makes brilliant products and I am still in love with my NAD C390 DD integrated DAC and 2×150 watt amp. A recent upgrade with a furutech powercable enhanced dynamic and musical performance yet again. 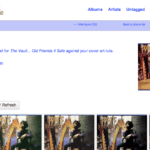 With their smart modular built archtecture the Bluesound Module streams music via Tidal in flac format and soon a free of charge upgrade to MQA will further enhance the performance. I am gratefull to own this product a true over achiever! Great to know that you enjoy NAD products as I do !